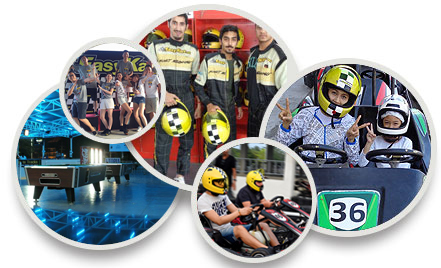 Easykart.net offers leisure activities for all, in the safest environment in Asia. People from all around the World enjoy our Activities and Events with Fun and Excitement. Welcome to our new go karting tracks located at the famous Bali Hai Pier, Pattaya. Go karting at EasyKart PATTAYA (Bali Hai Pier) is not an activity only for professional drivers. Our karts and tracks are adapted also for beginners and young kids! (Beginner track 350m & racing track 800m) No experience is needed. Feel free to come with your friends, family and kids for a few hours of real fun. Our activity is bringing fun and speed in a safe environment to Pattaya, Thailand. If you are looking for things to do in Pattaya, our outdoor Go karting stadium will bring you, your family and friends, great excitement on those boring days! Our go karting track in Pattaya is the biggest, safest and most high-tech go-kart entertainment complex in Thailand. We are committed to bringing some fun into your holidays as well as having somewhere for the local residents to enjoy a bit of excitement on a regular basis. We are also happy to organize birthday parties, events & corporate groups. Go karting at EasyKart PATTAYA (Bali Hai Pier) is great for young kids, teenagers and adults. It really is a fun activity for all.